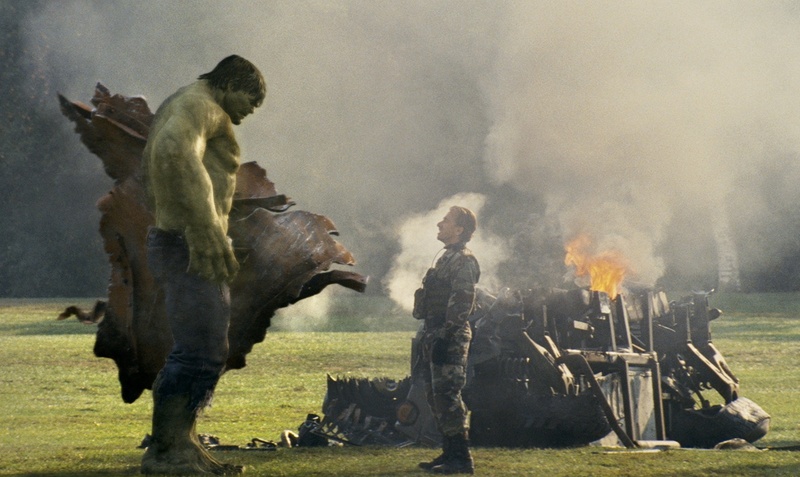 Essential plot rundown: Bruce Banner searches for a cure while eluding the military. 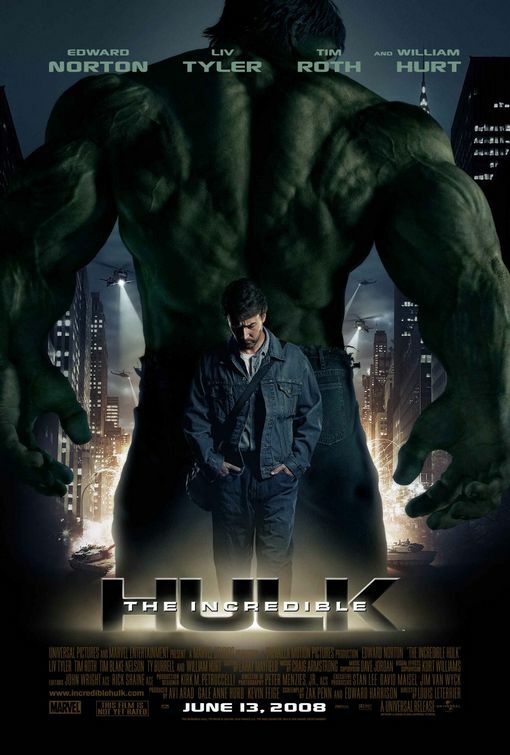 For the next Hulk movie, Marvel completely redid everything, making it more compatible with the Marvel Universe. While not a bad movie, it doesn't hold up with Marvel's other installments. The story I liked. It was interesting seeing how Banner kept the Hulk under control and the lengths he was willing to go through to cure himself. The plot was all good. And that was the best part of the film. I understood Blonsky's (Tim Rother) role in the film and liked the idea behind the character. I just didn't like the way he was portrayed. I didn't really see a motive for him wanting to fight the Hulk, other than he keeps losing. But, then again, that might be the only reason. But it seems like a stupid reason to want to fight the Hulk. Of course you lost. He's the Incredible Hulk. Some of the fighting scenes were weird. Like the canons that shot sound waves or something. They looked like something from a 70s Godzilla movie. Also, using the police car as boxing gloves just looked dumb. It might have been a cool idea; but it didn't translate to the big screen. And putting out a fire by clapping? You've got to be kidding me. 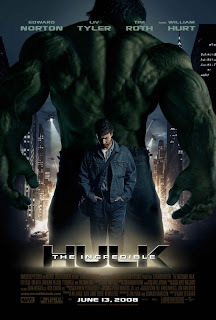 While I personally don't like Liv Tyler as an actress, I did like the scenes between her and the Hulk. (Not because of her, but because they existed). It added to their characters, with him protecting her and her trying to calm him down. It did create some nice moments, something that Hulk was lacking. Overall, it is an entertaining film. But it is not on par with the other Marvel films. It is worth checking out but it's nothing special. Also, soon (hopefully within a few days) I'll be doing a comparison of the 3 different Hulks. So, that may or may not be of interest.